Photo by Sergio Ruiz for SPUR. 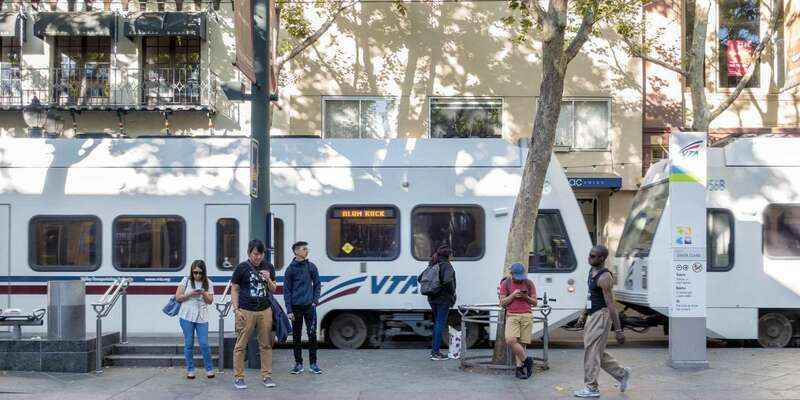 Because there’s so little separation between the pedestrian and transit environments in downtown San Jose, trains have to go slowly to avoid collisions. As a result, trains traveling through downtown have some of the slowest travel speeds of any light rail system in the country. But the VTA is preparing to launch a new pilot program to help improve the speed and safety of these routes. Come learn more about this ambitious project. Free to the public. Our first event of the month in each city is free to everyone.